Airtel has been the forerunner when it comes to 4G LTE technologies in India. Airtel has been offering huge discounts and incentives on new connections and is also offering a buyback scheme for 3G dongles. The 4G coverage is also increasing and Airtel are focusing on bringing this technology across Tier 2 cities. 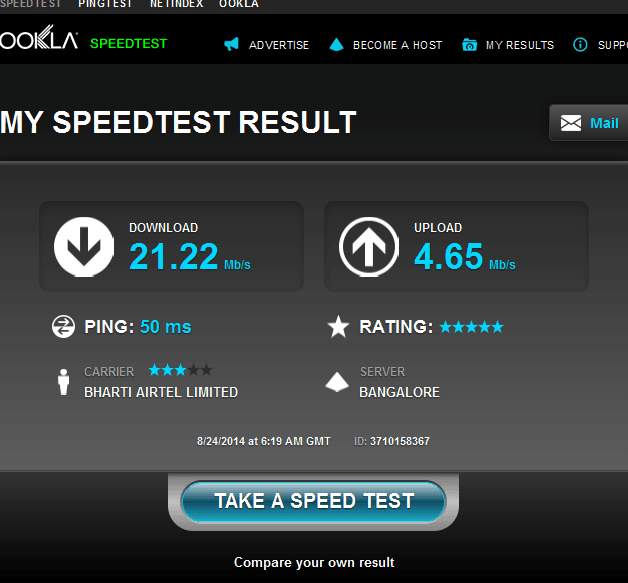 We review the Airtel 4G dongle in Bangalore and see if it is a viable and affordable option. We had subscribed to the Rs 999 pack which entitled us for 10GB of High Speed data after which the speed gets throttled to a mere 128kpbs. Please note that this package is exclusive of tax and inclusive of tax it would come to Rs1123. The Speeds in the 4G areas range from 18-22mbps and in HSPA+ mode the speeds range between 8-13Mbps. The real problem starts after the high speed quota gets exhausted. The browsing becomes painstakingly sluggish and the download speeds drop to 8-9kpbs. Good part is that you can opt for Smartbyte packages which will give you extra GBs of high speed usage. 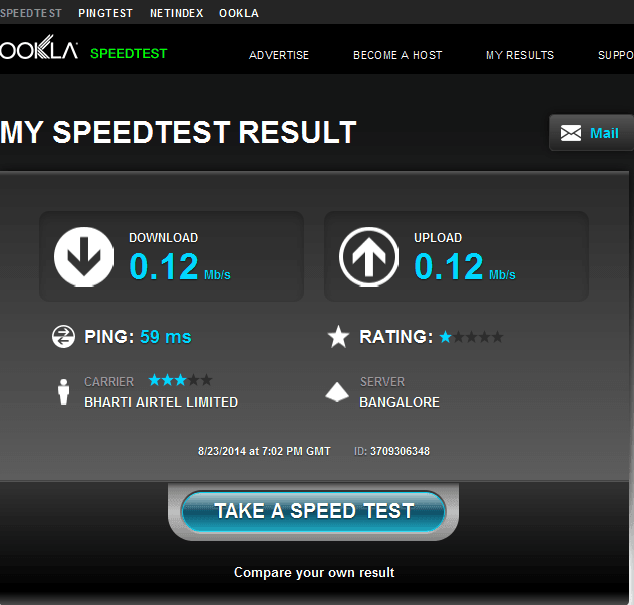 1GB Smartbyte would cost you Rs200. The Huawei dongle will cost an upfront Rs1500 and if you already own a 3G dongle then you can swap the older one and pay up just Rs500 for the faster 4G stick. 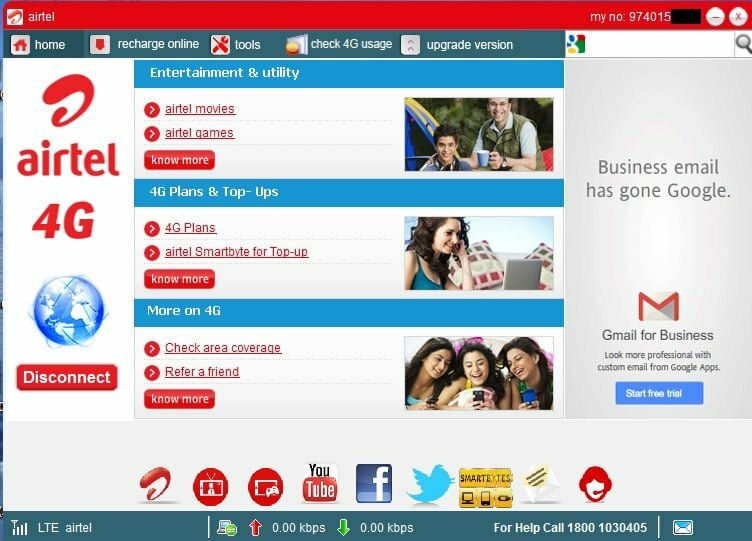 Airtel 4G is a good bet if you need good internet connectivity on the move but the packages are on the expensive side and it would not be feasible as an primary connection. The only advantage of the 4G stick is its connectivity, the network never gives up on you. If you want an extremely dependent internet connection on the move and promise yourself that you will refrain from heavy downloads then the Airtel 4G is the best bet.